This ticket allows you access to Seated Audience of the EDP Cool Jazz 2019 | The Roots on the 9th of July. Purchase your ticket for EDP Cool Jazz 2019 | The Roots - Stand here! The 9th of July. This ticket allows you access to Seated Audience of the EDP Cool Jazz 2019 | Jessie J on the 10th of July. Purchase your ticket for EDP Cool Jazz 2019 | Jessie J - Stand here! The 10th of July. This ticket allows you access to Seated Audience of the EDP Cool Jazz 2019 | Snarky Puppy + Jacob Collier on the 16th of July. 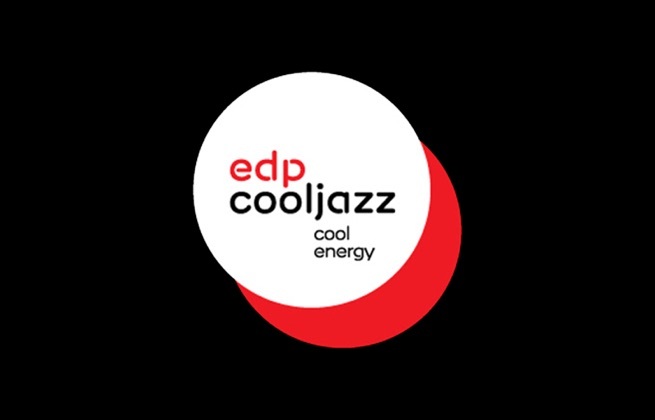 Purchase your ticket for EDP Cool Jazz 2019 | Snarky Puppy + Jacob Collier - Stand here! The 16th of July. This ticket allows you access to Seated Audience of the EDP Cool Jazz 2019 | Jamie Cullum on the 20th of July. Purchase your ticket for EDP Cool Jazz 2019 | Jamie Cullum - Stand here! The 20th of July. This ticket allows you access to Seated Audience of the EDP Cool Jazz 2019 | Diana Krall on 24th of July. This ticket allows you access to Seated Audience of the EDP Cool Jazz 2019 | Tom Jones - Seated Audience on the 25th of July. Purchase your ticket for EDP Cool Jazz 2019 | Tom Jones - Standing here! The 25th of July. This ticket allows you access to Stand of the EDP Cool Jazz 2019 | Kraftwerk on the 31st of July. This ticket allows you access to Seated Audience of the EDP Cool Jazz 2019 | Kraftwerk on the 31st of July. The VIP ticket allows you access to VIP Seated Audience of the EDP Cool Jazz 2019 | Jessie J on the 10th of July. The VIP ticket allows you access to VIP Seated Arena Gold of the EDP Cool Jazz 2019 | Jessie J on 10th of July. The VIP ticket allows you access to VIP Seated Audience of the EDP Cool Jazz 2019 | Jamie Cullum on the 20th of July. The VIP ticket allows you access to VIP Arena Gold of the EDP Cool Jazz 2019 | Jamie Cullum on the 20th of July. The VIP ticket allows you access to VIP Arena Gold of the EDP Cool Jazz 2019 | Diana Krall on 24th of July. The VIP ticket allows you access to VIP Seated Audience of the EDP Cool Jazz 2019 | Diana Krall on 24th of July. The VIP ticket allows you access to VIP Seated Audience of the EDP Cool Jazz 2019 | Tom Jones on the 25th of July. This ticket allows you access to VIP Seated Audience of the EDP Cool Jazz 2019 | Kraftwerk on the 31st of July. The VIP ticket allows you access to VIP Seated Arena Gold of the EDP Cool Jazz 2019 | Kraftwerk on the 31st of July. Hotel Quinta da Marinha is a luxury resort situated in the Sintra-Cascais Natural Park overlooking the Atlantic Ocean, 4 km from Guincho Beach. It is a 35-minute drive from Lisbon's historic areas, like Chiado, Rossio and Bairro Alto. The hotel has an 18-hole golf course and 2 restaurants. Other amenities include spa, bar, fitness centre, indoor pool and a seasonal outdoor pool. Each of Hotel Quinta's air-conditioned rooms has a spacious balcony with panoramic views of the golf course or the Sintra mountain range. Rooms also include a minibar, flat-screen TV and a private bathroom with Molton & Brown amenities. 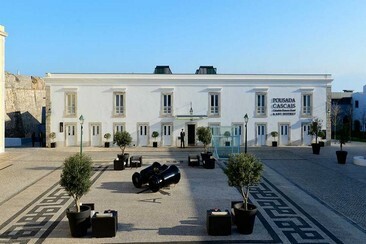 Eurostars Cascais is located 700 m from Boca do Inferno in Cascais, Museum of the Sea is 1.1 km from Eurostars Cascais, while Casa das Historias - Paula Rego Museum is 1.2 km from the property. The hotel has a seasonal outdoor pool with sea views, and guests can enjoy a meal at the restaurant, also offers bike hire and car hire. The 4-star hotel is set in a privileged environment, guests will feel the beauty and serenity of its 101 rooms. All rooms are equipped with flat-screen TV, minifridge and free WiFi access, balcony with wonderful sea view. The hotel also has 4 meeting rooms that can be divided with panels, natural light and with access to the garden area of the swimming pool. 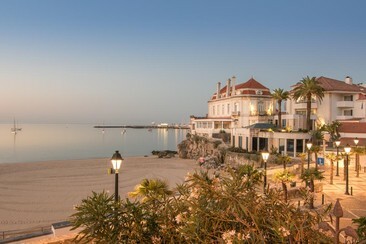 Pestana Cidadela Cascais is a 5-star hotel, located in the centre of Cascais, just 3 mins on foot from the beach and 5 mins walk from the town centre. Lisbon International Airport is a 35-minute drive. The hotel features an indoor pool and an additional lawn-surrounded exterior swimming pool with marina views. Other amenities include a 24-hour front desk, a gym, a bar and a Mediterranean restaurant. Guests can enjoy some activities in the area such as diving and cycling, among other sports, nautical or cultural activities. All of the rooms at Pestana Cidadela Cascais have a seating area with a flat-screen satellite TV, free Wi-fi access, a minibar and a private bathroom with slippers and bathrobes. The bright rooms feature modern décor and wooden floors. 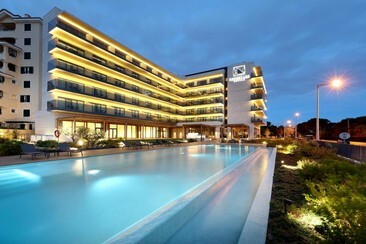 The Grande Real Villa Itália Hotel & Spa is a 5-star hotel in Cascais, facing the beaches of the City of Lisbon and 30km from the city centre. 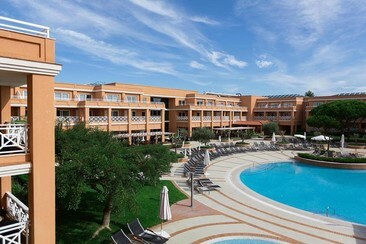 This hotel offers 3 restaurants, including Italian fare, a terrace and 2 bars. There are also 2 outdoor saltwater pools, kids' club, and spa area with sauna, exercise room & indoor pool. 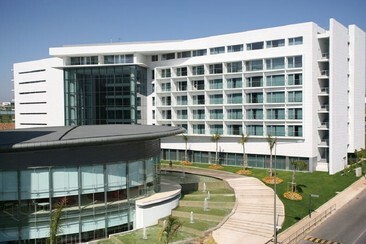 The 5-star hotel has 124 rooms, of which there are 84 twin bedrooms, 18 double bedrooms, 19 suites and 3 penthouses. The palatial rooms combine classical furnishings with modern appliances, including free WiFi and a flat-screen cable TV. The bathrooms include Italian marbles and Venetian mosaics. 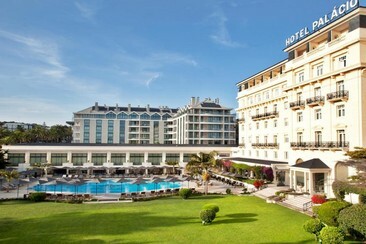 The Palácio is a five-star hotel set in beautiful gardens and with outstanding views over Estoril and the Bay of Cascais, located in the heart of Estoril, just 20 minutes from the centre of Lisbon. Guests enjoy complimentary access to the Banyan Tree Spa's indoor pool, hot tub and Turkish Bath. Massage and beauty sessions are available at the Banyan Tree Spa and Estoril Wellness Center. Rooms at Palácio Estoril Hotel & Golf are spacious and warmly decorated. They are fitted with every comfort, including a spacious work area and a flat-screen TV. The marble bathroom includes luxury amenities. The Bar Estoril offers a charming, classical atmosphere where guests can enjoy a pleasant drink overlooking the poolside gardens. The Albatroz Hotel is situated on the cliffs of the Estoril Coast, just a 2-minute walk from Cascais railway station and Cascais Beach is at a 5-minute walk away. This welcoming and charming 5-star unit has sea-view swimming pool and sunny terrace. Amenities also include beach access, outdoor pool and sundeck, as well as bar with panoramic views. There're a business center and 6 meeting rooms. Each room at the Albatroz Hotel is unique and individually decorated in their own, unique style, offering guests totally modern up-to-date comfort, creating a unique atmosphere in which guests can enjoy a true luxury hotel accommodation. 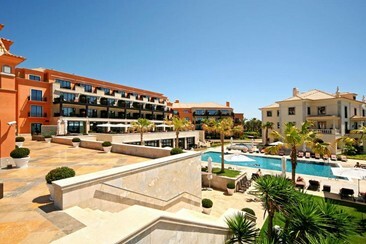 All rooms come with air conditioning and feature large bathrooms with Castelbel toiletries. With an elegant décor, the Albatroz provides a wicker basket with towels, to use at the beach or the pool. Get to the festival in safety, comfort and on time with guaranteed seats. A return coach from Coimbra to the festival site and return on the same day. Please note that routes might be canceled in case of not enough seats sold. Get to the festival in safety, comfort and on time with guaranteed seats. A return coach from Porto to the festival site and return on the same day. Please note that routes might be canceled in case of not enough seats sold. Get to the festival in safety, comfort and on time with guaranteed seats. A return coach from Faro to the festival site and return on the same day. Please note that routes might be canceled in case of not enough seats sold. Get to the festival in safety, comfort and on time with guaranteed seats. A return coach from Coimbra to the festival site and return on the next day. Please note that routes might be canceled in case of not enough seats sold. Get to the festival in safety, comfort and on time with guaranteed seats. A return coach from Porto to the festival site and return on the next day. Please note that routes might be canceled in case of not enough seats sold. Get to the festival in safety, comfort and on time with guaranteed seats. A return coach from Faro to the festival site and return on the next day. Please note that routes might be canceled in case of not enough seats sold.